Orthopedic doctors specialize in treating a wide range of joint health issues. 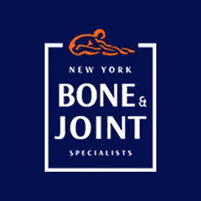 The team at New York Bone & Joint Specialists includes Dr. Michael Mizhiritsky, Dr. Leon Popovitz, and several other excellent joint health specialists, serving the Upper East Side and Midtown West neighborhoods of Manhattan. The team approach embraced by the practice creates a valuable resource for patients throughout the area. To learn more about the top orthopedic doctors in NYC, schedule your one-on-one consultation today by calling the office or booking online. Your body has more than 300 different joints, which work to keep you mobile. Each joint is a network of bones, muscles, connective tissues, nerves, and other soft tissues that work together to enable proper function. If an issue arises with any of these components, normal function is threatened. Maintaining a healthy weight, getting plenty of exercise, and choosing a balanced, healthy diet are great ways to sustain healthy joints and reduce your risk of joint injury. You should also take steps to protect yourself from injury when at home, on the job, or while playing sports. Even something as simple as embracing flexibility training and proper technique during workouts can reduce your risk of injury. When should I see a specialist for joint pain? Everyone experiences occasional joint pain. But when pain is severe or fails to improve after a period of self-care, you should consider seeing a specialist for a thorough diagnostic workup. You should also consider scheduling an appointment with New York Bone & Joint Specialists if previous treatment failed to yield the desired results. The physicians at this practice are leaders in their field and stay abreast of the latest developments in joint health treatment and technology. You should see a specialist any time that joint pain interferes with your normal daily routines. I want to avoid orthopedic surgery. What are my options? If you’re not excited by the prospect of orthopedic surgery, you’re certainly not alone. It’s important to understand that a consultation with an orthopedic surgeon does not mean that a surgical procedure will always be the outcome. Dr. Nickhil Gupta uses a holistic approach to pain management, and looks for ways to address joint pain without surgical intervention. One of his areas of focus is in sports medicine, and he offers innovative treatment to help you feel and perform your best. Dr. Michael Mizhiritsky offers outstanding diagnostic skills and various nonsurgical treatments for joint issues, especially in the neck, spine, and lower back. He looks for the root cause of your pain and then devises a customized treatment plan to restore normal, healthy function. In addition to the latest orthopedic surgical procedures, New York Bone & Joint Specialists also offers top-quality physical therapy services. Call or use the online scheduling function today to book your visit.